A contemporary hotel offering irresistibly luxurious rooms with stunning views of Tokyo Bay and Hamarikyu Gardens (浜離宮恩賜庭園), Conrad Tokyo, opened in 2005, is located in the Tokyo Shiodome tower in the business district of Minato and nearby exclusive shopping area Ginza. Next to the Oedo (都営大江戸線) and Yurikamome (新交通ゆりかもめ) Shiodome station (汐留駅) and 8 minutes walk to the much larger Shimbashi station (新橋駅), access to the Conrad Tokyo is brilliantly convenient and taxi drivers had no issues finding the hotel. A beautiful sculpture oozing style on the ground floor welcomes guests but the actual hotel lobby with rich dark wood panelling and amazing views is located high on the 28th floor. 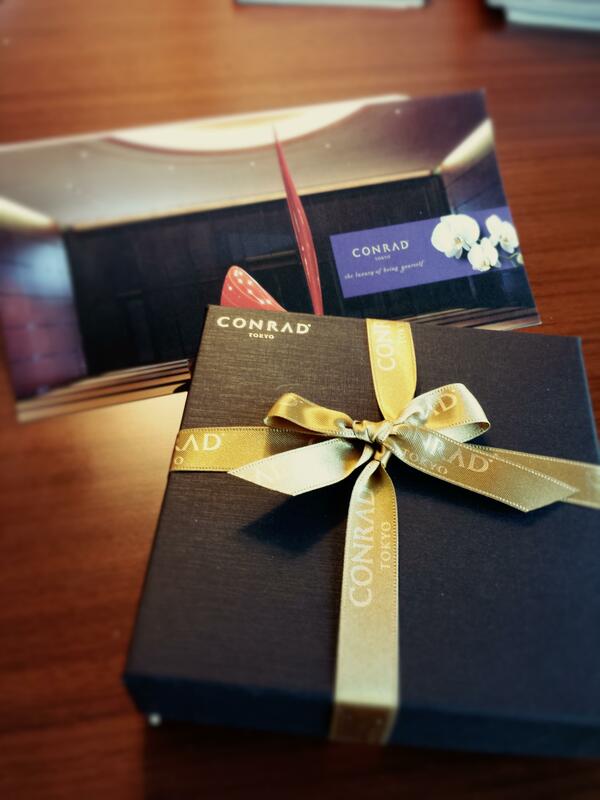 Conrad Tokyo is comparatively small with only 290 guest rooms and suites located on levels 28 to 37. Arriving early morning, our room wasn’t ready but as a HHonors Diamond member, we were offered to relax in the Executive Lounge on level 37. 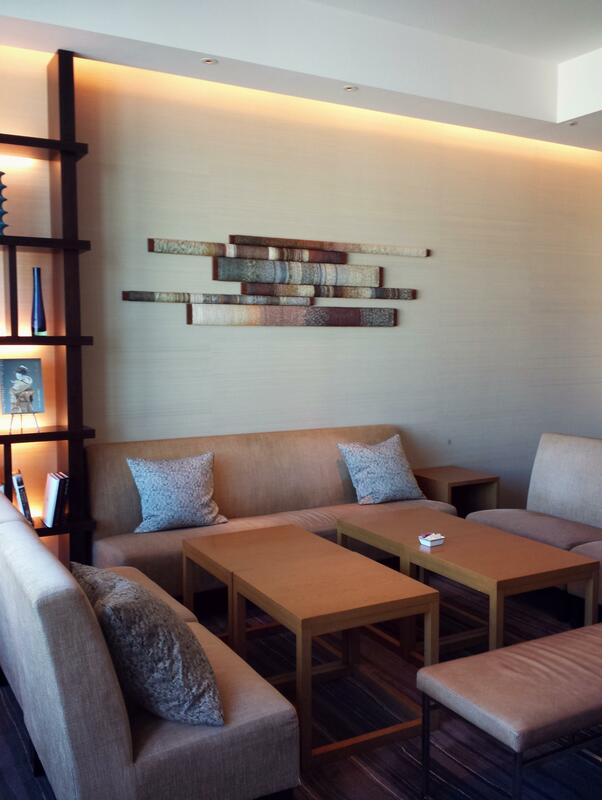 The lounge itself had fabulous views and presented a sense of peacefulness and intimacy. Breakfast, afternoon tea, evening drinks and canapés are served in the lounge and whilst small, the lounge never felt crowded. Our King-bed room with a minimalistic design was extremely spacious and featured a day bed/sofa that stretched along the length of the windows looking out to panoramic vies of Tokyo Bay. The bed and bathroom is divided by glass adding to the sense of space and when privacy is needed, an electric blind is available. With a standalone bathtub, separate toilet (fancy Japanese type compete with seat warmer and various wash modes), shower and double basins, the bathroom was to die for. Staying in such a wonderful room is refreshing enough but wait till you try out the spa! Located on the 29th floor, the serene environment of the spa is completely rejuvenating, so much so I never got the chance to try out the pool or fitness centre. Another nice touch is its line of Shiseido toiletries. Conrad Tokyo has to be one of the best hotels we’ve stayed in, impeccable service, incredibly comfortable rooms, true five-star amenities and convenient location. 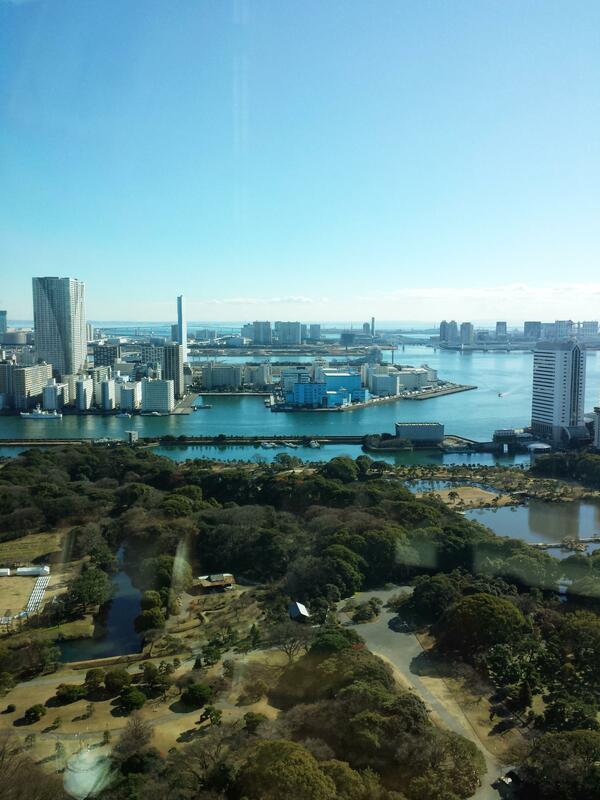 No wonder it won TripAdvisor Travelers’ Choice award 2014 as one of the Top 25 Luxury Hotels in Japan. Check out my review of Kazahana, the fine dinning Japanese restaurant at Conrad Tokyo.